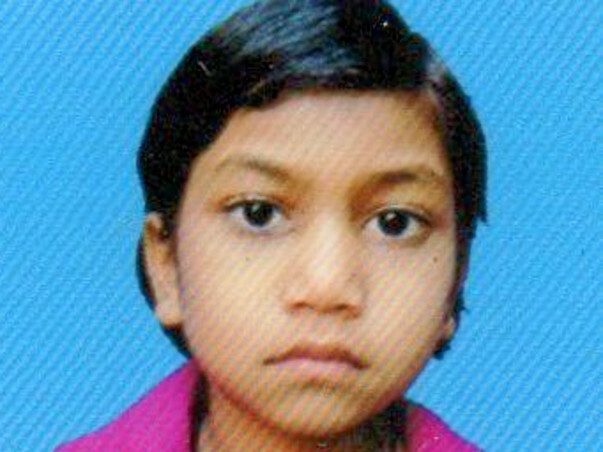 5-year-old Sadiya Khatun’s world turned dark one fine morning. What her family initially thought to be a simple fever, turned out to be the worst nightmare of their lives. Sadiya lost her vision due to a malignant tumor in her eyes, and her doctor says it may never come back. In August last year, Sadiya got a fever that lasted for over a week. She complained of pain in her nose and eyes. Her father, Manjur Alam took her to a doctor immediately. Initially, she was prescribed medication to bring her temperature down, but nothing worked. Next week, she lost her eyesight, first in her right eye and over the next two days in her left eye too. And then started their journey from one hospital to another, trying to understand what was ailing little Sadiya. Finally, the doctors at a hospital in Kolkata figured out that there was something wrong inside her nose. But they were not well equipped to run the necessary tests and referred them to Vellore. There, after conducting a biopsy, the doctors diagnosed her with a malignant tumor in her nose, which was spreading fast to the rest of her body and had also led to Sadiya losing her eyesight. They said it had to be operated upon and removed right away to prevent further damage to her body, and a surgery was scheduled. Sadiya’s parents were shattered. She was the doted little member of the family, the youngest of six siblings and the only girl. She was always pampered by all and loved more than anyone else in the family. Her condition made them feel helpless and crippled. They would have done anything to see her smile again and do the things she loved. Their bright little daughter was bedridden and in pain, and they could do nothing about it. Sadiya is a very smart child and loved going to school. She was in the first grade and loved reading poems from her books and recite them for everyone. After she fell ill, she got so weak that she couldn’t walk on her own anymore. She couldn’t read anymore since she had lost her sight. All of this made her very gloomy and she stopped eating. Post surgery though, she started showing signs of improvement. But she still needs radiation and chemotherapy in order to completely get rid of the cancer. She has to attend radiation therapy sessions every day and chemotherapy once every 21 days. All this treatment makes her very irritable and she is in constant discomfort, but stopping treatment is fatal to her life. 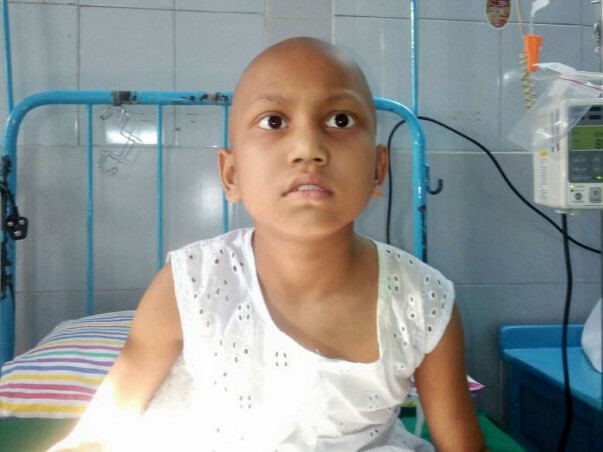 Her parents have been doing all they can in order to provide her with the necessary treatment, even though they are from a very poor financial background. Her father works as a daily wage laborer. 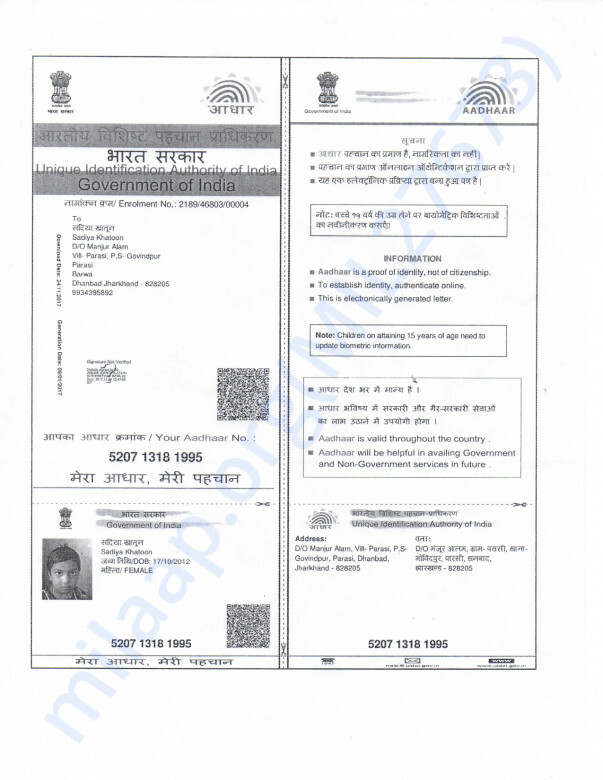 He is hired on a contract basis when there is work to be done and makes a maximum of Rs 1500 a week. When there is no work, his family does without a single penny as income, for weeks on end. They always live in the fear of where their next meal is coming from, and in such a situation, affording her expensive treatment is way out of their means. 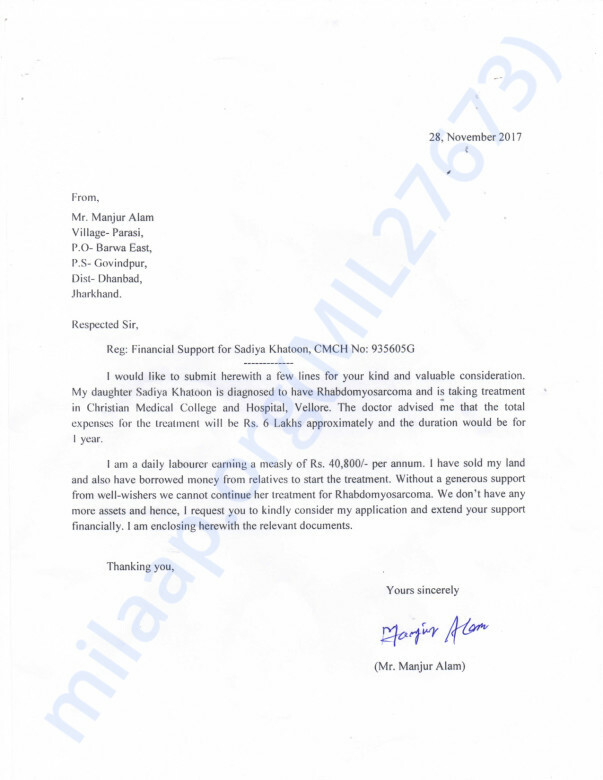 So far, they have spent over Rs 4 lakhs towards her treatment, and have almost as much overdue. 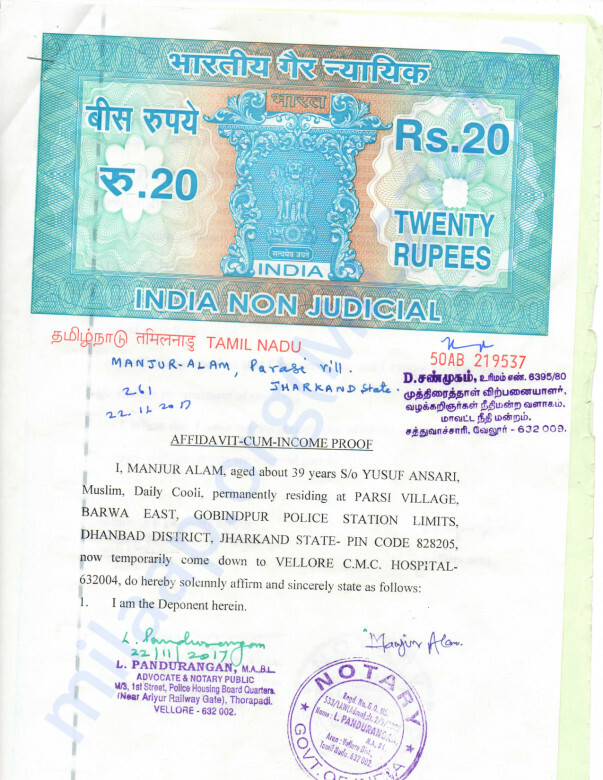 They have borrowed heavy amounts of money from their friends and relatives to cover her medical expenses as well as the cost of living in a small rented house in Vellore. Manjur is scared that if he doesn’t pay the bill soon, Sadiya’s treatment will be stopped and he will lose her. 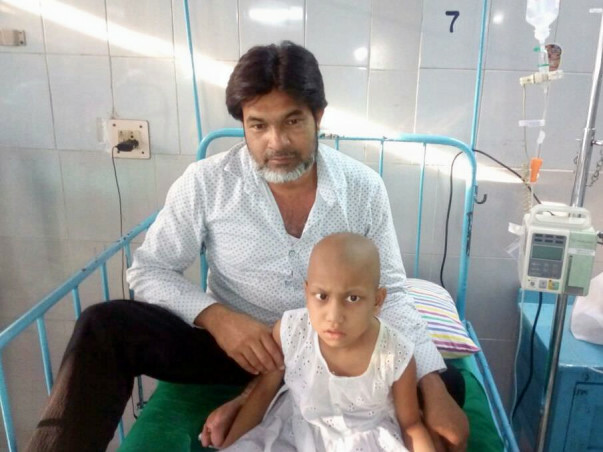 To save his daughter he needs your help. 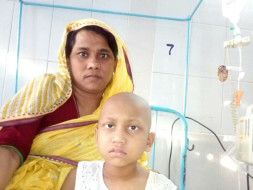 Your contribution can save Sadiya’s life and bring a smile to her family again. 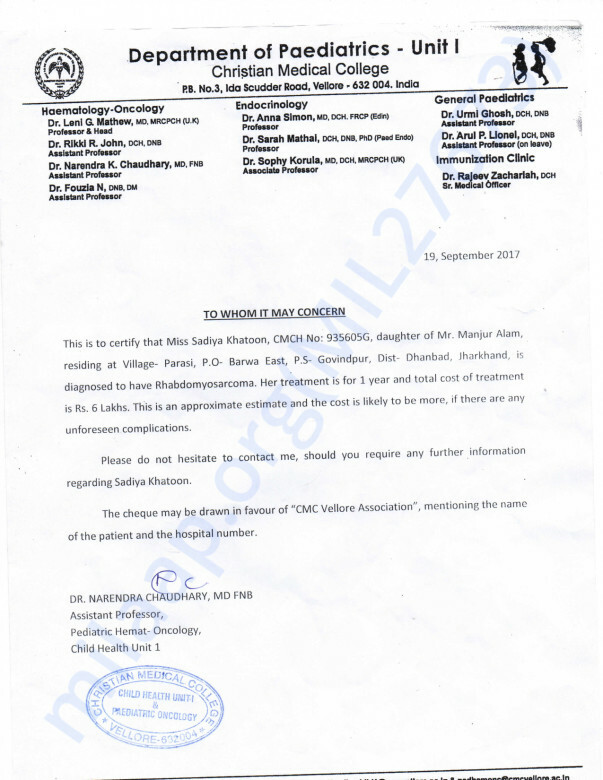 Thank you very much for all the donors for your support for my child she is undergoing treatment.